‘Although in the century since the coming of the railway Cornwall has lost most of its individuality, its remoteness has throughout history tended to make it a place where old ways and old beliefs have lingered longest. Furthermore, such things have always tended to be best preserved in the Lands End Peninsula, also called West Penwith, nowhere more so than in the ‘High Country’, the name given to the beautiful parish of Zennor and its neighbours, Towednack and Morvah’. 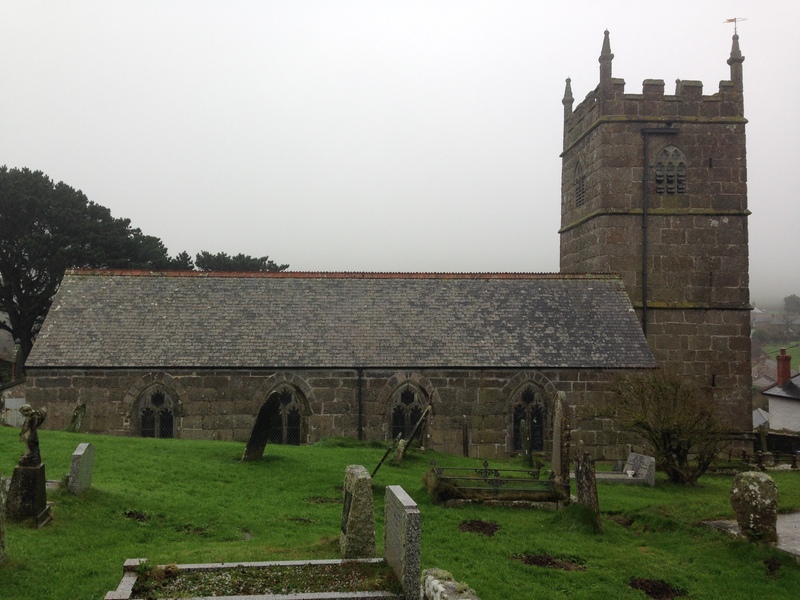 The church of St Senara, Zennor. Zennor is less remote now but to enter this landscape still feels like leaving something of the modern world behind. I’ve come to see the medieval carving of the mermaid in the church of St Senara, chiselled from oak sometime in the fifteenth century and now incorporated into a seat. Something of the mermaid’s spectral nature hangs over this December morning. A dense mist gathers as we climb the road out of St Ives, turning the irregular boulders into looming, precipitous shadows. Trees huddle in quiet groups, festooned with lichens. Bracken and gorse and granite lurch upwards into opaque, jagged hills. 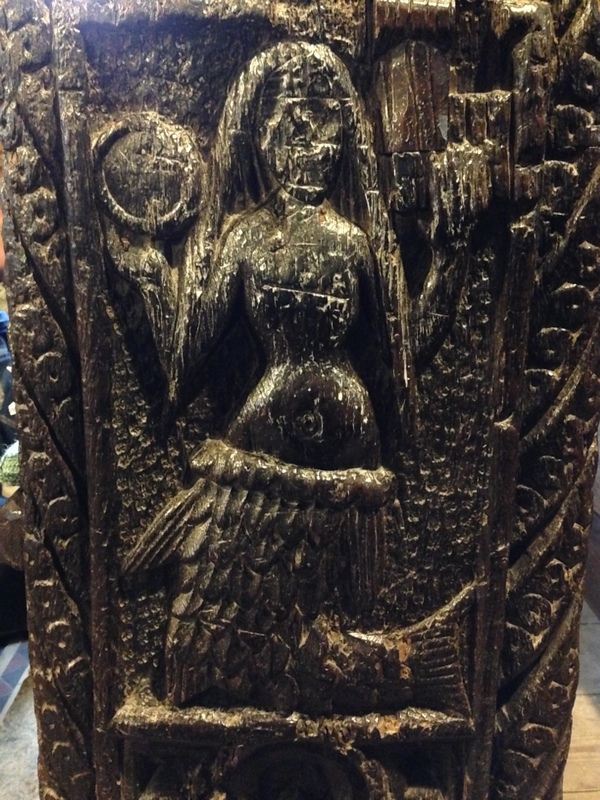 In effect Zennor has two mermaids: the one in the Cornish folktale ‘The Mermaid of Zennor’ first recorded by William Bottrell in 1873, and the one carved on the late medieval bench-end in the church. Whether there is any relationship between the two is a matter of conjecture. There are several variants of the tale Bottrell recorded, but at the heart of them all is the linking of two separate events: the infrequent appearance in church of a mysterious woman with an exceptional talent for singing, and the appearance of a mermaid in the sea near Pendour Cove. It is assumed that the singer is also the mermaid, able to shapeshift into fully human form. It is also assumed that she is responsible for the disappearance of a local man and ‘best singer in the parish’, Matthew Trewalla. The two late medieval bench ends: mermaid, and foliage. The mermaid’s seat in the church is made up of two late-medieval bench ends, the other one carved with a foliage design. The mermaid was a relatively common image in medieval sculpture, with over 150 examples currently known throughout the churches of England. Other examples in Cornwall and Devon include those carved on the bench-ends at Camborne, Kilkhampton and Down St Mary; throughout Exeter Cathedral on both roof bosses and misericords; and several examples on roof bosses at Stoodleigh. Within its broader context of medieval imagery then, the Zennor carving is not unusual. 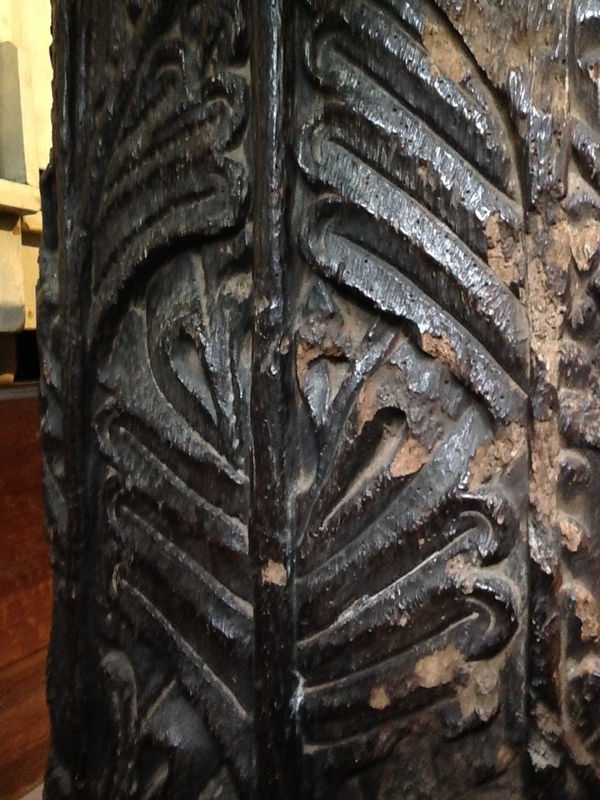 It is, however, an excellent example and an important piece of fifteenth century woodcarving. 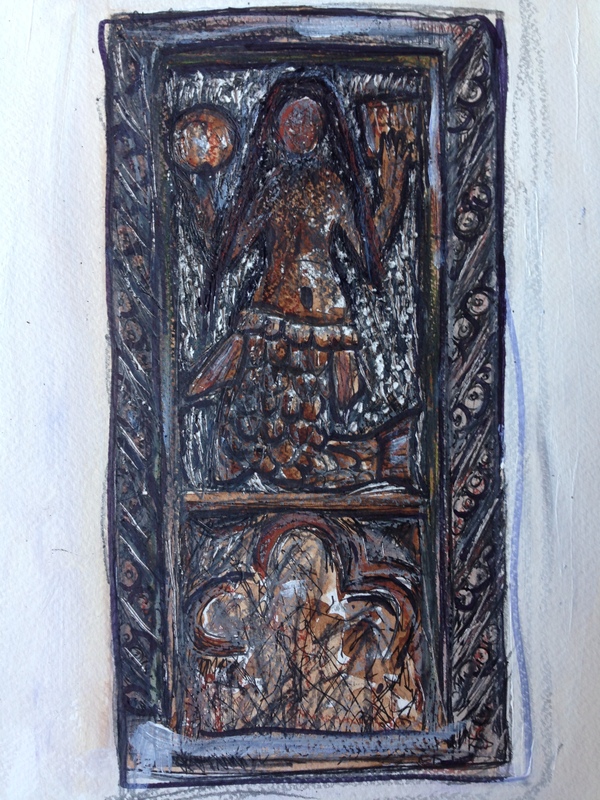 The Zennor mermaid is depicted with what had become her traditional attributes by this period, a mirror and a comb. Most medieval writers interpreted these as symbols of vanity but beyond this, however, the mirror and comb identify the mermaid as a powerful supernatural figure. Mirrors were understood to have apotropaic (the ability to ward off evil) as well as divinatory qualities in medieval culture, while the comb was closely associated with similar figures such as the banshee in Irish folklore, herself an omen of death. Mirror and comb were also objects connected with the ancient goddess Venus, for whom the mermaid was often an attendant in Roman art. 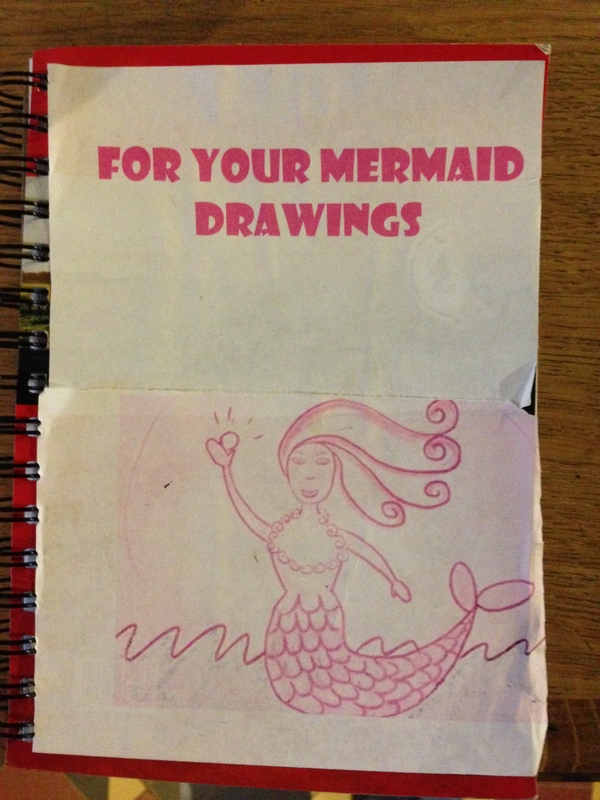 The parishioners of Zennor appear to have some fun with their medieval art which is great: should you wish to draw a picture of a mermaid there is a notebook provided! (Inspired by this I had a go a bit later).